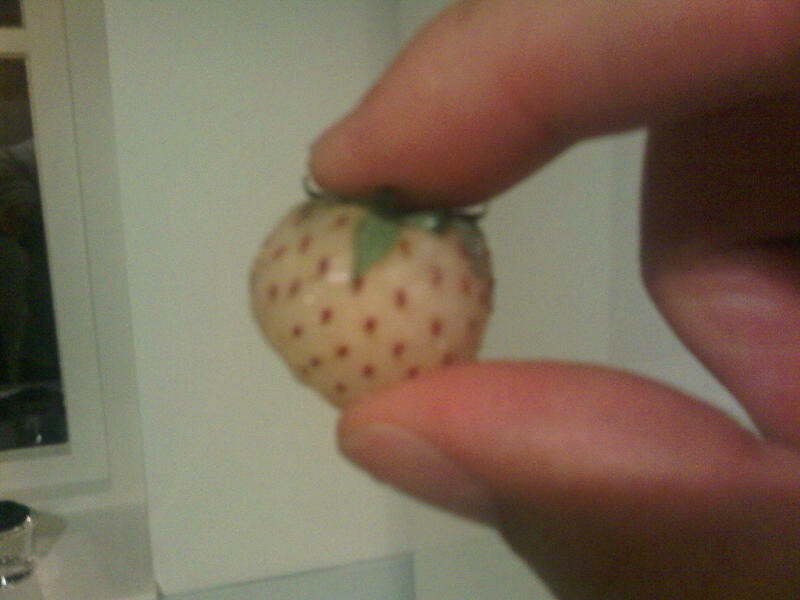 Last month, I wrote about a relatively unknown fruit: The Pineberry. 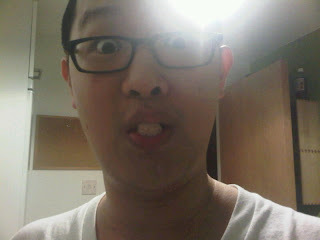 For those of you who were doubting their existence, my good friend Andrew Chen sent me emails about his pineberry experience in the UK. So I tried buying some but apparently each waitrose store gets 8 boxes at 8am each morning and they sell out within 30 minutes! They are 4GBP [US$5.80] a box too. Insane! 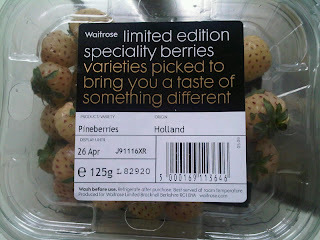 I went to waitrose again this morning and found the last box. 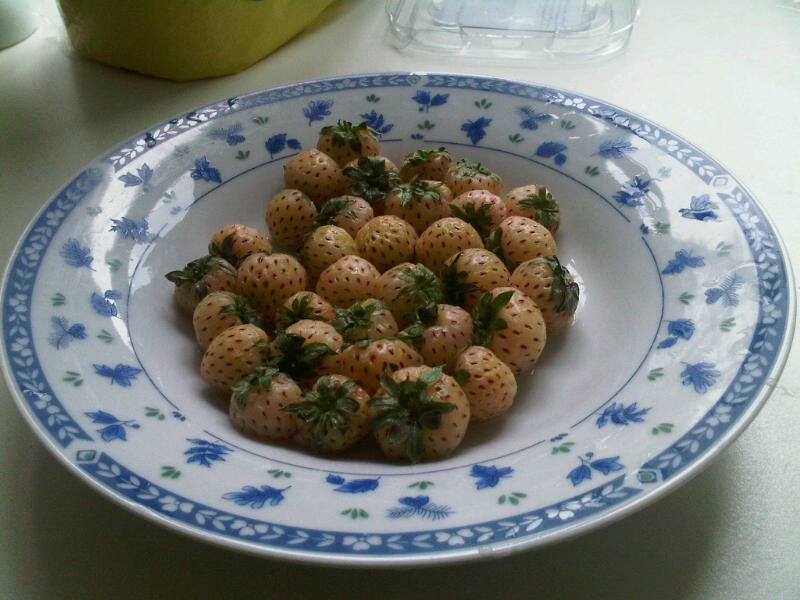 They taste like even more tart strawberries, but I agree the "finish" is like that of pineapple. They are really tiny too, about the size of a raspberry/blackberry. Thanks for reporting from the UK, Andrew! How funny, i have never seen a fruit like that!! I doubt I will find them in Asia, so I'll keep a look out for them in Europe! They kind of do look like pale strawberries. Hard to imagine the pineapple finish. That is pretty cool.